I did it!! I made it through another semester of finals. No, not my finals, Charlie’s finals. We’ve been note taking and studying for the last 10 days. Up late reading and quizzing all week, but it’s over. He did very well again this semester, so I suppose the tired eyes are worth it. But man am I glad the semester is over and as of today the Kinnaird family is on Christmas break. Naturally I made cookies to celebrate. In the last few weeks I have made more than a few batches of these spiced chocolate crinkle cookies . They are easily one of my most favorite cookies ever. But as I was packing up the pantry, I found a bottle of peppermint extract. The spiced crinkle cookies I was planning became peppermint chocolate crinkle cookies. It really is hard to beat the peppermint chocolate combo at holiday time. Now, not only do these crinkle cookies look like little chocolate snowballs, they are extra wintry with a blast of peppermint. 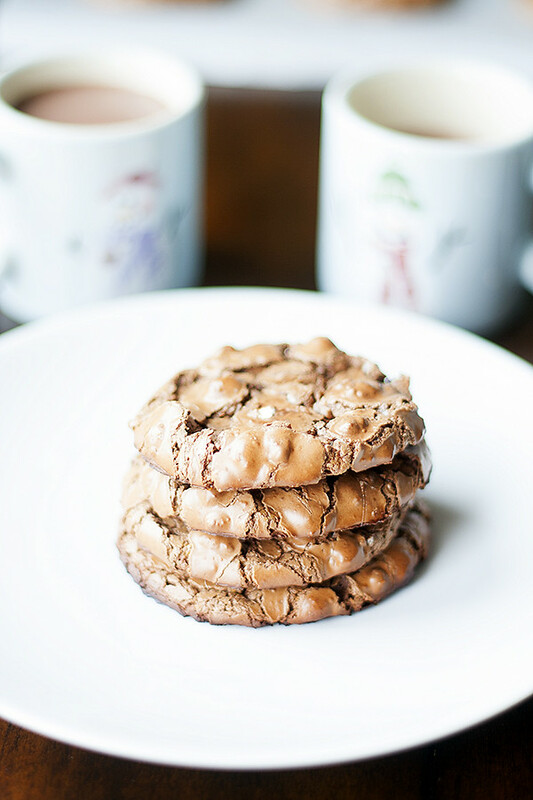 As much as I love spice cookies, these are my idea of the perfect Christmas cookie, and definitely deserve a place on the holiday cookie tray. In an effort to clean out the pantry leaving less to be packed, I used the last of my dark cocoa for these, but any unsweetened cocoa you have on hand would be fine. I do have to say that I am a total dark cocoa powder convert. It is not always interchangeable in baking but for crinkle cookies it works so well. Now I’m off to do the last school pick up of 2016, and finish packing boxes.